This topic contains 6 replies, has 4 voices, and was last updated by lampmfg 1 year, 5 months ago. We are the Christensen family. We are really proud of what we have done, what we do and are very excited about where we are going. 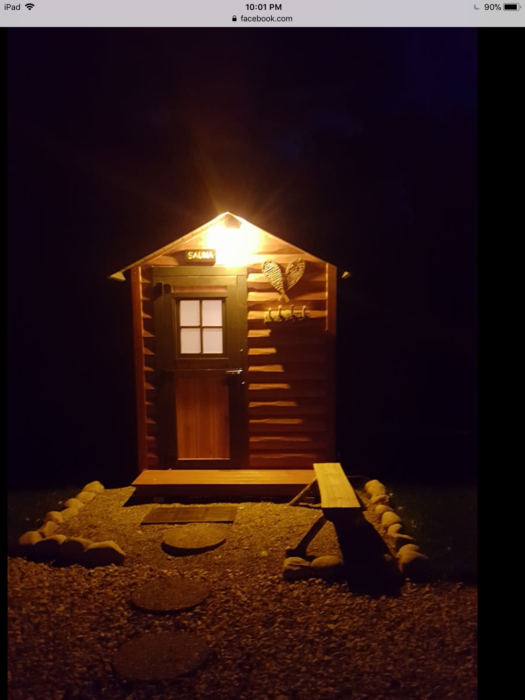 We have found our niche in solidly built insulated wood fired saunas, built in our shop and delivered directly to your site. 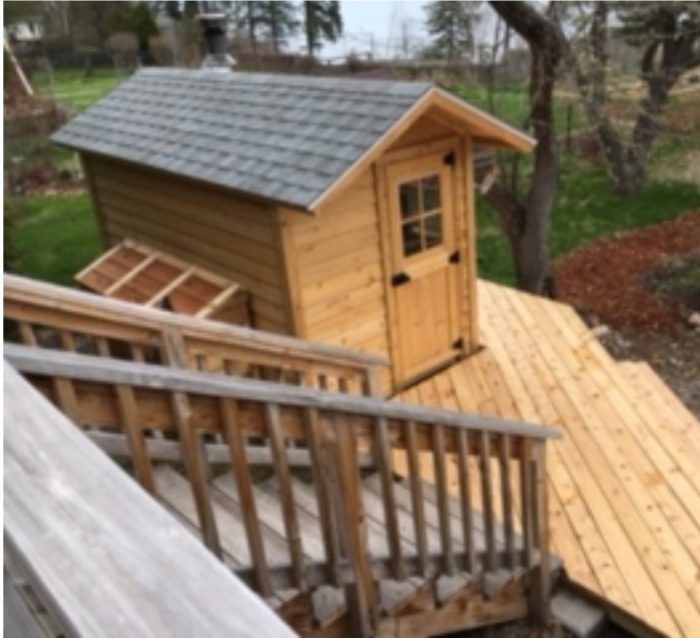 Thanks, we have been building saunas for forty years. Mostly storage sheds, but a few saunas each year. 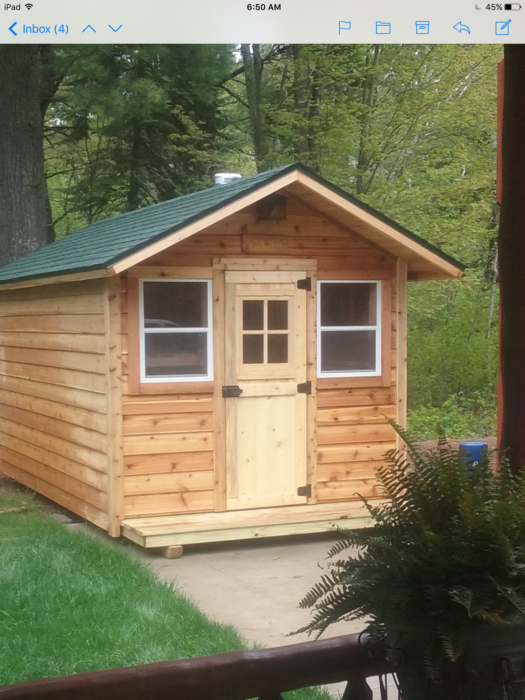 A couple years ago I sold our shed business and now build saunas full time. 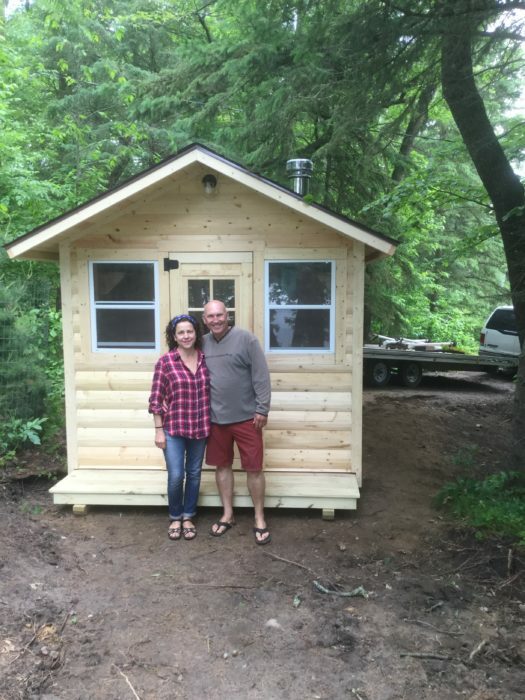 My daughter, grandson and I build about one each week in our new shop. Although we seem to keep within a one month order to delivery schedule, we have not run out of work for two years. We love to build. 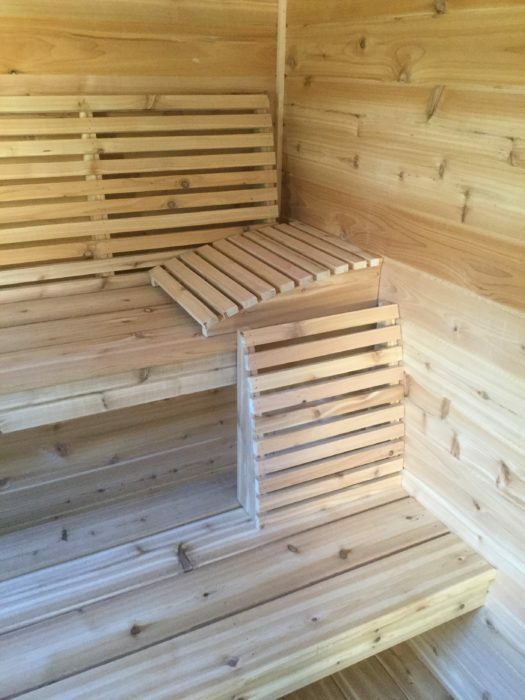 Owen, maybe you can share a few photos on the Sauna Inspiration page of your beautiful work! I will do my best to be helpful without too much promotion for our product. 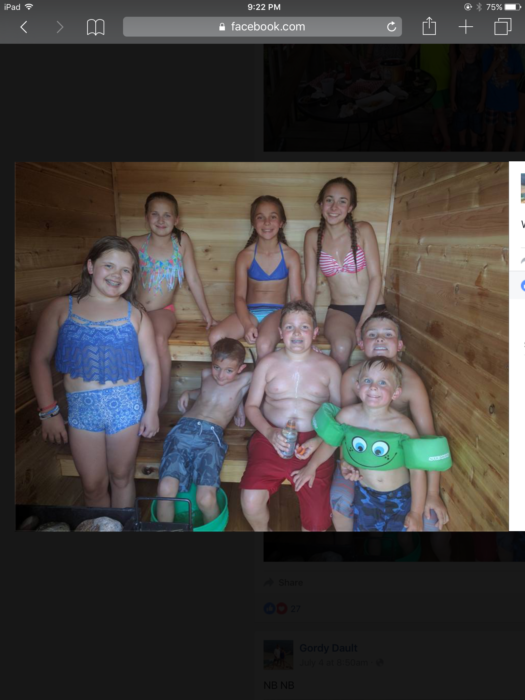 We do enjoy the sauna loving community. We focus on a steamy wet sauna. Heat is needed of course, but putting that heat right to work making steam is our goal for our saunas. I see waisted heat in many other saunas. I know I get little pleasure from a super hot dry feeling sauna. We have found the key to this in a well insulated building that can drain thru as much water as you want. The other component is the stove. It must be super strong and not firebrick lined. You want the heat to go into your rocks not out the chimney. 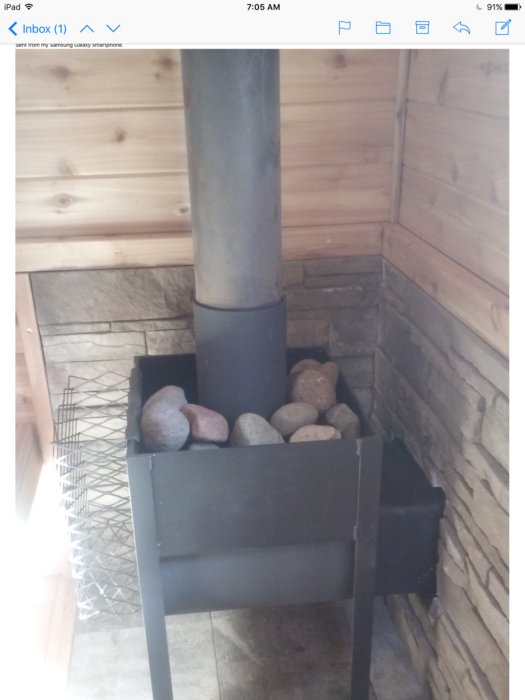 To best do this a 1/4” round steel firebox is great. 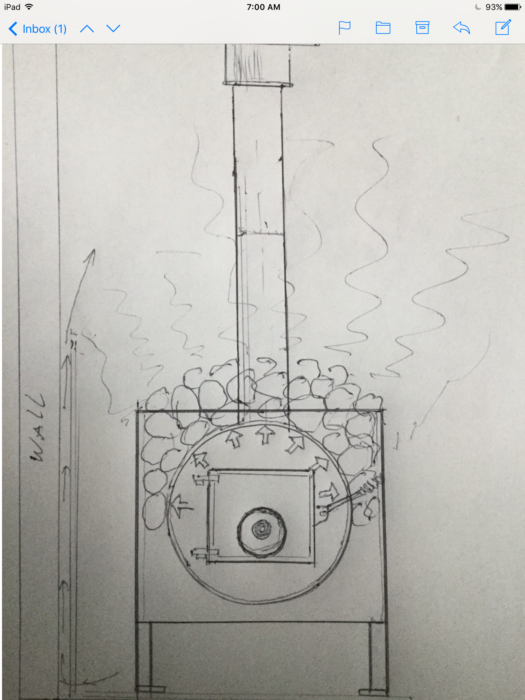 Not only will a round firebox expand and contract with no damage, it allows rocks to saddle over the heat, on the sides as well as the top. As quite an added benefit, the escaping heat to the sides is reduced, and thus less heat to close wall surfaces. 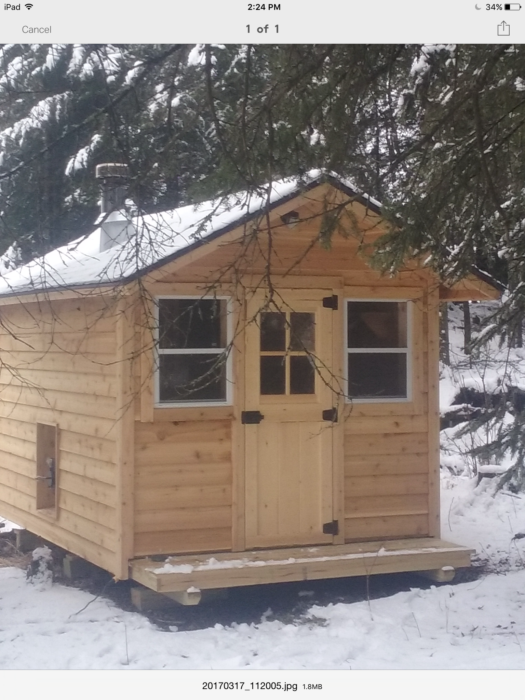 Again I understand that most people here want to build their own sauna and I understand that and am willing to share. Owen Christensen ceo of Christensen Sauna Inc. This reply was modified 1 year, 5 months ago by owen christensen.